Police in Montgomery County are seeking the public's help in identifying human skeletal remains found in a wooded area in North Potomac this week. 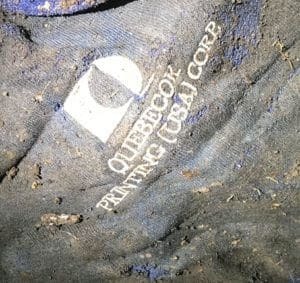 Authorities have released photos and a description of clothing and other items found with the remains. WASHINGTON — The Office of the Chief Medical Examiner has determined the age and race of skeletal remains that were discovered in a wooded part of Rockville, Maryland last week. The remains reportedly belong to a white male, between 5 feet, 7 inches and 5 feet, 8 inches tall, and at least 60 years of age. It is estimated that the man has been deceased for at least a year. Police said the bones were found Dec. 4 by a man walking a dog in a wooded area near Shady Grove and Road Procera Drive. Police were called to the area around 5:15 p.m. that evening. The remains were taken to the to the Office of the Chief Medical Office in Baltimore for an autopsy. The cause of death is still under investigation. Authorities have released photos and a description of clothing and other items found with the remains. They include a San Antonio Spurs ball cap, a blue sweatshirt with the words QUEBECOR PRINTING (USA) CORP. on the front and size 11 Asics GEL-Kayana sneakers. Detectives are urging anyone who has information about the identity of this person or how they died to contact the Major Crimes Division at 240-773-5070. Tipsters will remain anonymous.